Christmas Present Poll: Where To Hide Christmas Presents! 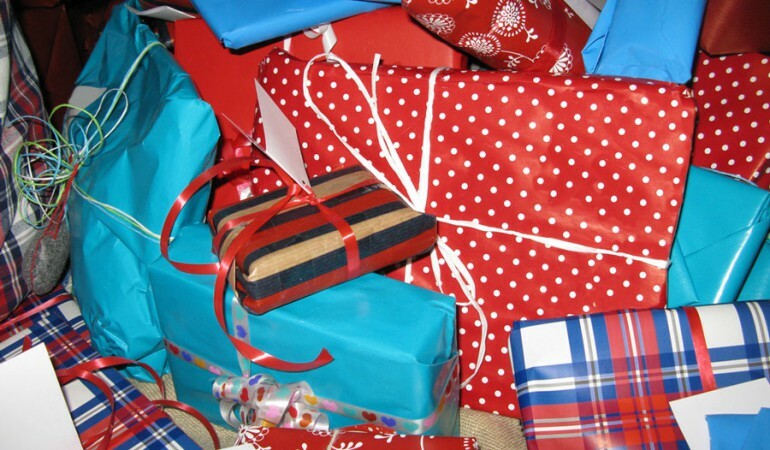 Home - Christmas Present Poll: Where To Hide Christmas Presents! As the Christmas period draws near, it’s time to start thinking where you are going to hide your presents after buying them this year? Depending on the age of your little ones they’re most likely to be curious what they are getting for Christmas, searching every nook and cranny to find them. Christmas is an exciting time of year, and, for many children, they can’t wait a few weeks to find out. The suspense is too much – a feeling that doesn’t always leave for childhood. Our snoopy kids can make our life difficult (as if Christmas shopping wasn’t hard enough) and these days we need to think of more imaginable places to hide the gifts. Even if you’re kids aren’t purposely looking for presents there’s a chance they may stumble on them when playing their next game of hide and seek over the Christmas holidays. There is no denying we all get excited and curious over what we are getting for Christmas so we can’t blame them, but it’s important that we find better places to hide them so that they don’t ruin the surprises for themselves. There are many different ways of keeping your gifts away from your children until Christmas day. Some people have come up with creative ideas such as turning presents into ornaments or decorations, taking them to friends, some have gone as far as burying them under the floorboards. Where do you hide your Christmas presents? The Attic: A dark, gloomy space full of bats and other scary monsters, what child in the right mind would want to go up there? No matter how desperate they are to know what you are getting them for Christmas? Also, it’s difficult for children to get up to the attic without help from an adult. Just in case you think the children can get up there, keep them in a black bin sack or box labelled ‘cleaning products’, there’s no chance that they’ll be peeping into that! Suitcases: These are an excellent way of hiding your gifts. It’s unlikely your children will think you’re smart enough for such an ordinary illusion. Whether it’s in a holdall or huge suitcase, it will do the trick. Just make sure you’re not going away anywhere before Christmas as then you’ll be back to square one. At work: Your children will expect the gifts to be hidden in the house somewhere. It’s unlikely that they’ll suspect you’re keeping them somewhere else. If you have a set of draws or a spare cupboard at work, this could be the perfect solution. You could even keep a large box under your desk if you’re not blessed with your own set of drawers. Of course, it’s important you trust everyone at work if you are going to do this. There’s always that one big kid in the office that will want that remote control car to add to his collection. Shed: In the winter, we can safely say that we don’t like to spend much time in the garden. If you have a garden shed where you store all your gardening tools this might be ideal to store all your Christmas presents. You can hide the gifts inside the flower pots, behind the lawn mower and inside bins and boxes. I’m sure it’ll be too cold for them to bother looking in there – we live in the UK!